Like Dijon, Reims has always been a stop-over destination for us when we head down to Italy. We usually arrived late at night and left first thing in the morning. Now, thanks to my wine studies, I have been lucky enough to spend more time in these beautiful cities and take in more of their history. Reims, in the Champagne-Ardenne region of France, has a long and fascinating history from its part in the crowning of French royalty to the near destruction of its cathedral during the First World War, oh and of course it is home to many of the great Champagne houses. Pommery (now owned by Vranken) is based in Reims and along with Veuve Clicquot is another example of a strong-willed woman successfully taking on a business at a time when women did not run businesses. Jeanne-Alexandrine Louise Pommery took over the business after the death of her husband in 1858 and under her guidance construction on the current site was started in 1868 and over the course of ten years Madame Pommery had eleven miles of cellars dug out of the chalk by hand. The huge site was eventually completed in 1888. 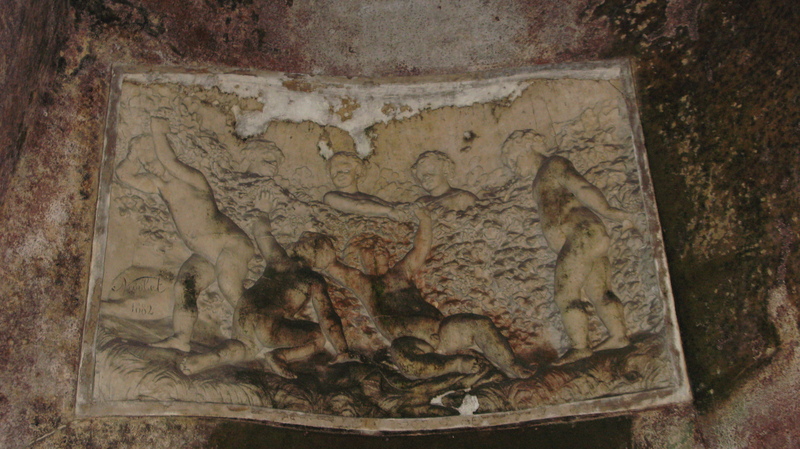 She had a grand vision of what she wanted the brand to become and part of that was to encourage visitors into the cellars by making them more artistically interesting. This is one of the oringinal pieces of art – carved directly into the chalk, our guide told us that the artist nearly went blind as he had to work by candelight. Madame Pommery’s vision has continued today and the cellars are used as galleries displaying different pieces every year. This years theme is recycling. 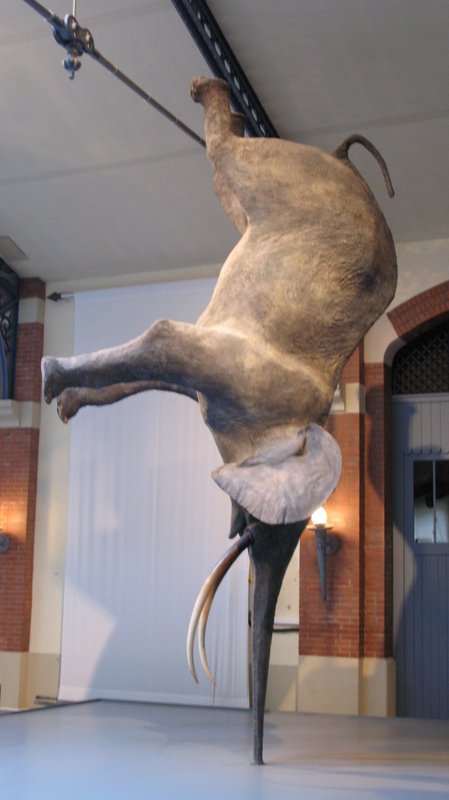 I’m not sure what this elephant has to do with wine or recycling – but it is certainly an interesting sight in the middle of the entrance hall and adored by the many children that visit the Pommery site. 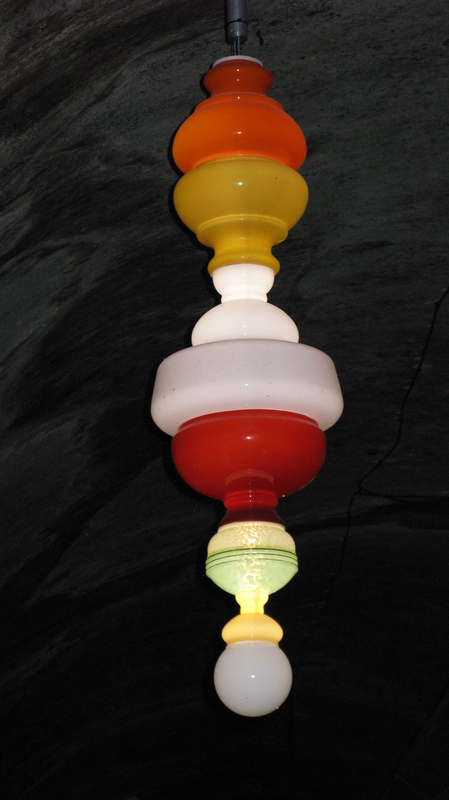 The lights below are used to light one of the long galleries in the cellars. The artist collects glassware such as fishbowls from markets around France and puts them together to create these lovely alternative lightshades that give a little bit of magic to the gloomy cellar. 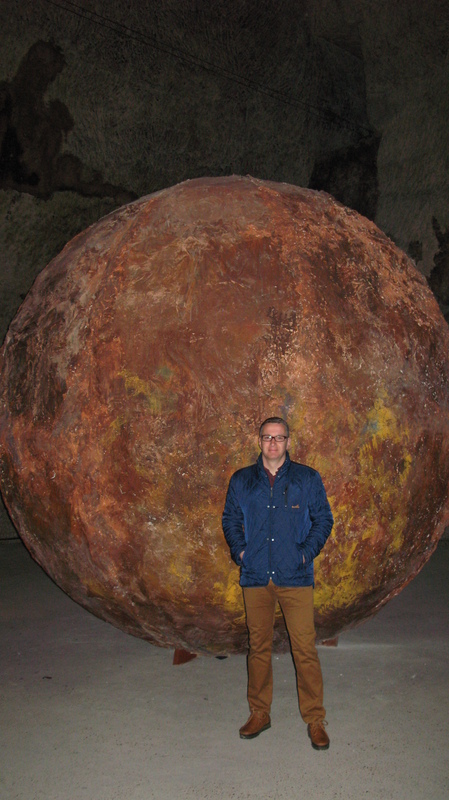 This giant ball is made of paper and is designed to absorb any moisture from the cellar – it doing so it becomes smaller and changes colour. It has been in place since last Autumn. 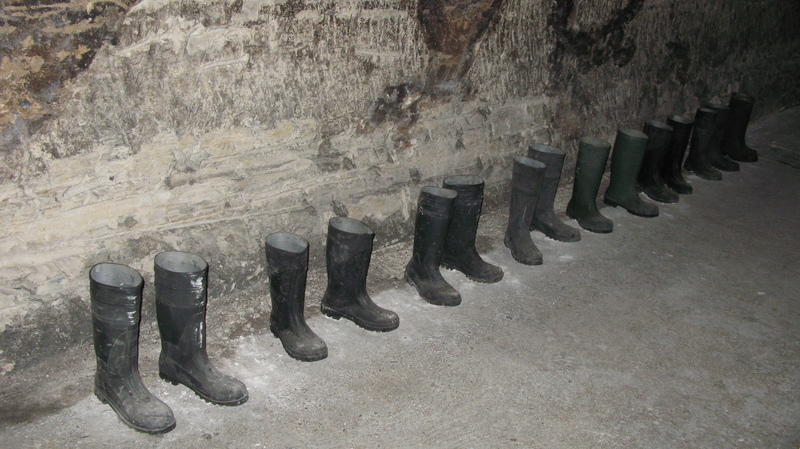 This display of wellies was part of last years exhibition but has proved so popular that they have kept it. The boots have mechanisms in them that make them stomp giving the impression that they are walking on the spot. Apparently children love them, but they have scared a few people! Without the art the cellars at Pommery are stunning – their cavernous size alone is something to admire. 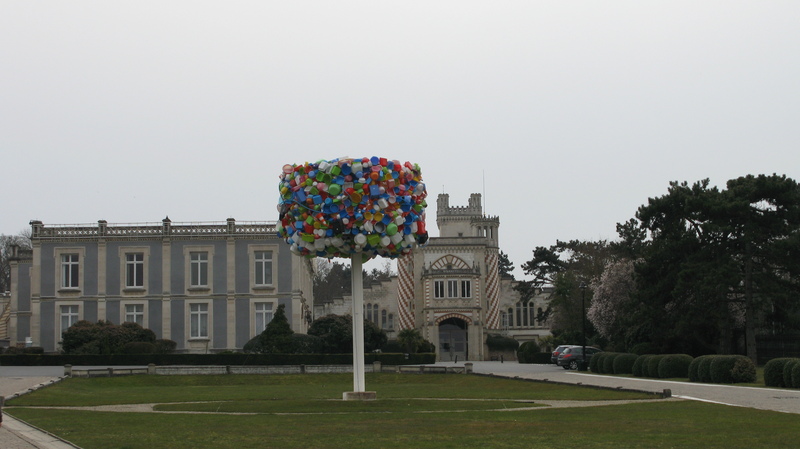 The art makes them even more interesting and beautiful – if you are in the area they are not to be missed. And if you are thirsty after walking through the cellars you can finish the tour with a glass or two or Pommery champagne. Great champagne – and a wonderful host – very knowledgeable, especially as she had only been there six months! To answer your curiosity about the elephant – Wursa is its name – it was actually made with the real skin of an elephant that had just died of old age in Belgium. It was a circus elephant and the artist, Daniel Firman, decided to give it a second life in the form of this artwork that playfully reminds viewers of its past activities.